NEW STORY ARC! 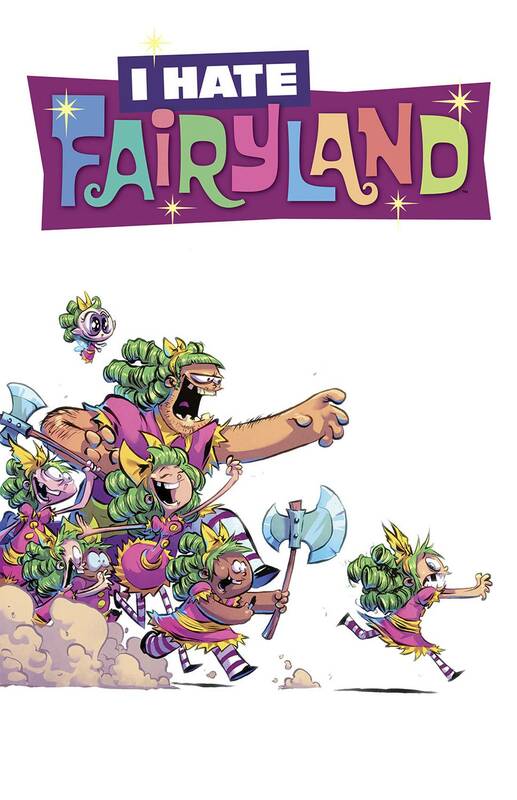 'CON GIRL'-Gertrude is back in her hit-comedy/fantasy/all-out bloodbath of a comic, I HATE FAIRYLAND. Gert and Larry take a break from their normal questing and killing for some fun at Fairyland's annual Dungeon Con.